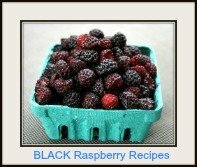 Here is a Healthy Sugar Free Cobbler Recipe, a bumble-berry mixed berries and apple fruit cobbler dessert - a choice recipe idea made with a sugar substitute such as Splenda for diabetics and those on special diets! 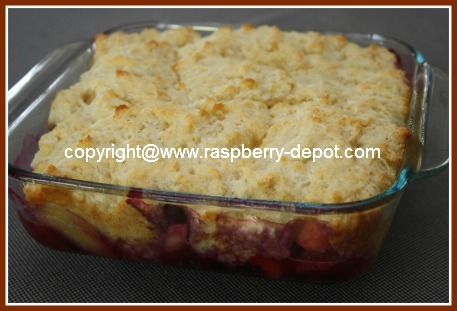 I made this cobbler this past weekend to take as a snack when I went to visit my parents for Mother's Day. This mixed berry cobbler with mouth-watering strawberries, blueberries, raspberries and apples was amazing, and no one even guessed it was sugar less! Packed with fruit high in antioxidants, it was a super healthy snack too! 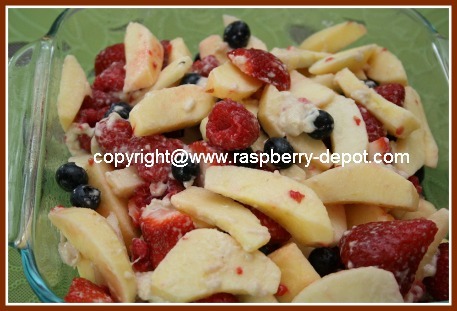 In a large bowl, combine the sliced apples, strawberries, blueberries, and the raspberries. Sprinkle the orange juice, the sugar substitute, and the flour over the fruit and toss gently to coat. Transfer the fruit to an 8" or a 9" square, greased (I used non-stick cooking spray) baking dish. In a large bowl, whisk together, to combine, the flour, sugar substitute, baking powder and salt. 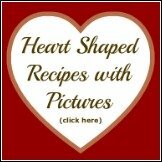 Using a pastry cutter, a fork, or your fingers(! ), cut in the butter, until mixture resembles coarse crumbs. Gradually add the milk, stirring until moistened. 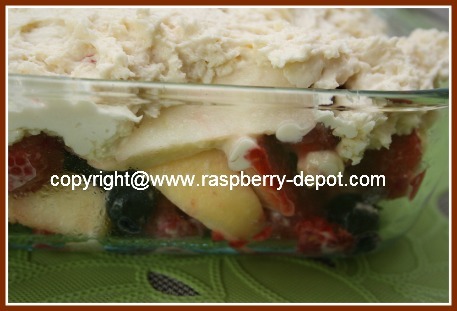 Drop batter by spoonful over the fruit in the baking dish, spreading lightly to cover surface. The Cobbler is Oven Ready! Bake at 400° F for about 30 - 35 minutes, or until the top is golden in colour, and a toothpick tester inserted in the center comes our clean. This cobbler is best when served warm! If you have apples and berries on hand, consider making a pie! Berries are High In Antioxidants! 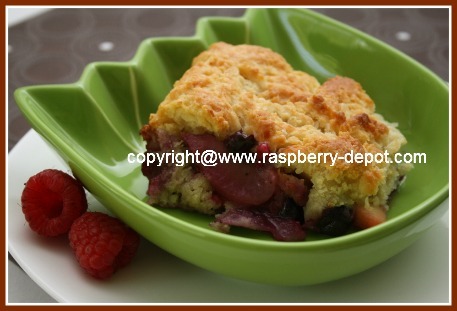 Not only does this Mixed Fruit Cobbler taste amazing, but it is very healthy too! 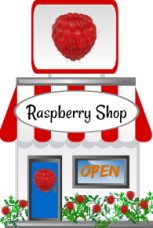 Strawberries, raspberries, blueberries, and apples are all fruits which are high in antioxidant activity. 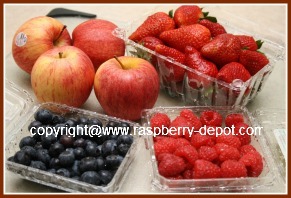 In fact, research shows that that berries rank at the top when determining the level of antioxidants in food. 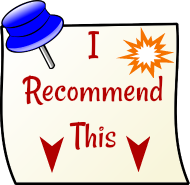 Want to learn more about antioxidants?